It probably seems counter intuitive to suggest that buying an electric bike will make you lose weight. You’re probably asking how something which removes the need more physical exertion could possibly be good for your health and that’s a fair question. Electric bikes help people to lose weight by making riding a bike regularly a more practical and attractive option. The reality is, people who own electric bikes are more likely to use them as a primary mode of travel than their counterparts who own regular bikes. This means they actually spend more time pedalling and exerting themselves than those who own regular bikes. People who think that electric bikes make you lazy make two key mistakes. The first is that they think riding an e-bike means you never pedal. In fact, most electric bikes allow riders to use pedal power and the electric motor in combination to drive the bike forward. While peddling may not be strictly required on some bikes, it is rare to find a rider who just sits up the whole way and lets the motor do the work. Most riders use the motor as an aid rather than relying on it entirely. 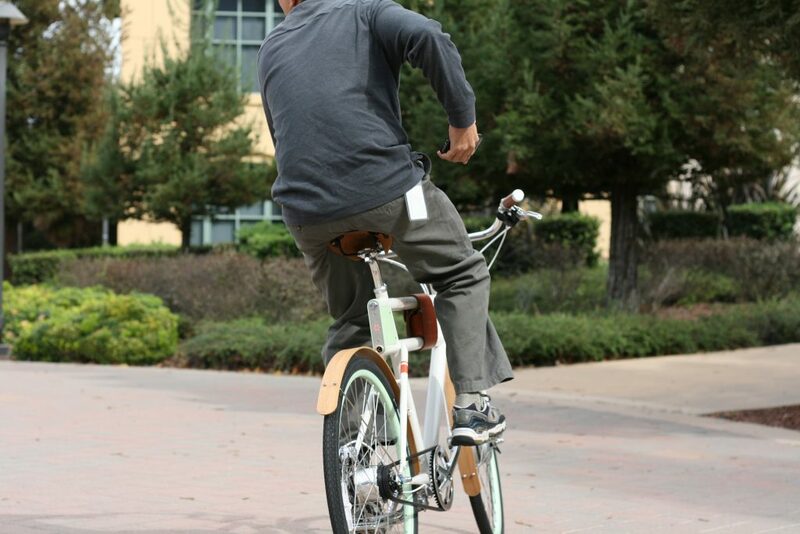 E-bikes also allow riders to turn the motor off and ride them manually when they feel like doing some extra work. The second thing that people who criticise e-bikes don’t realise is that the alternative for most people to e-bikes is not a regular bike, it’s a car. The reasons e-bikes are so good for losing weight is that they make riding to work a practical option and allow people to reach for their helmet in the morning instead of their car keys. Most people don’t ride bikes to work because they are slow, they force you to build up a sweat and they require a hefty commitment that most people just aren’t prepared to make. Electric bikes solve these issues. E-bikes are fast and travel at a consistent pace, they don’t force you to sweat bucket loads just to get from A to B and they don’t require as much of a commitment because if you get tired halfway through your ride, you can just switch on the motor. The bottom line is that electronic bikes help you lose weight because they get you onto the bike in the first place.